Come and enjoy a shorter child friendly tour of the museum followed by a fun craft activity making foil pictures. 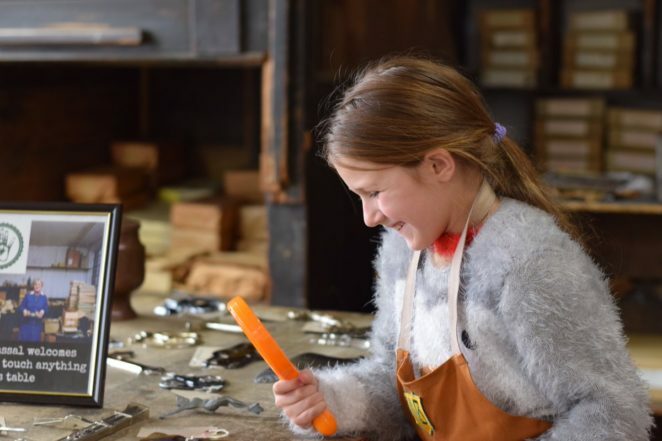 Dress up as a factory workers and explore the Victorian workshops with your friendly tour guide! Learn about how things were made, the jobs people did and why children like you would have been working in the factory! Then we’ll be getting creative, designing and making tin foil pictures. £5 per person (all children must be accompanied by a paying adult). Tickets are limited so book now to avoid disappointment. Booking online is essential, tickets available here now.